Great news! 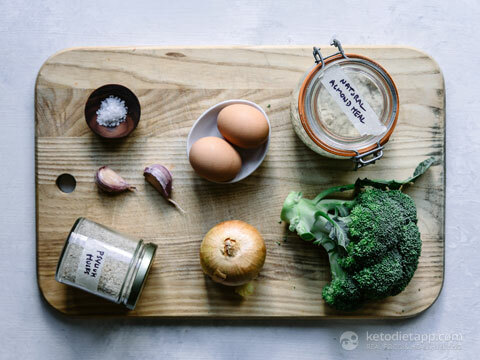 We joined forces with yet another talented recipe developer and food photographer! 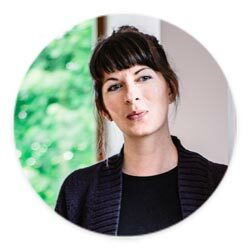 I'd like to welcome Dearna Bond who will be creating healthy keto vegetarian and pescatarian recipes for our site. 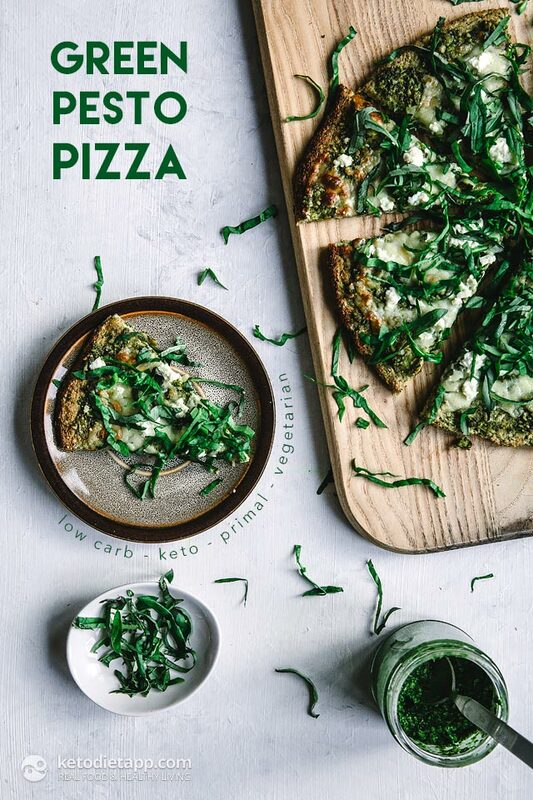 Let's start with this cheesy veggie keto pizza! 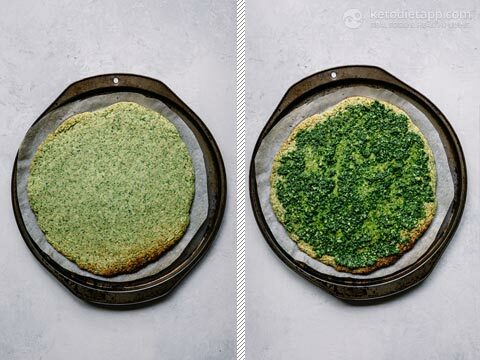 The broccoli base makes a nice alternative to the more well-known cauliflower variety, and when topped with pesto and fresh basil makes a gorgeous green vision that not only tastes great but looks impressive too. 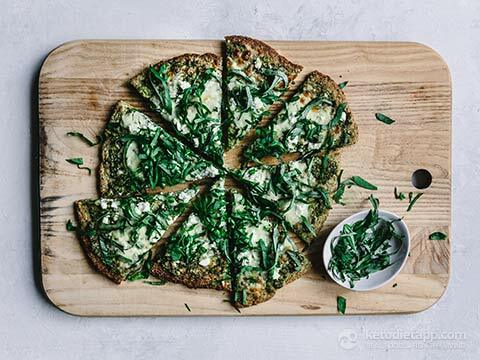 The below combination is our favorite for a quick bite to eat, but you could easily change it up to have a more traditional, tomato-based toppings if that’s your thing. Preheat oven to 200 °C/ 390 °F. 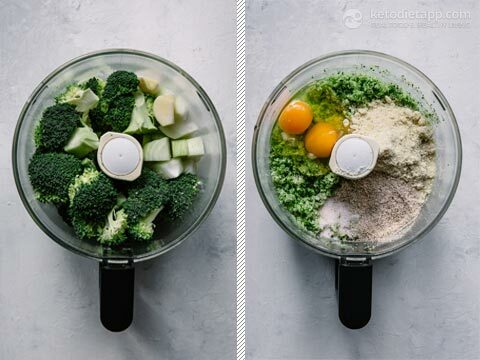 Add broccoli, onion and garlic to food processor and pulse until it resembles breadcrumbs. Add remaining ingredients and pulse to combine, scraping down the sides if needed. 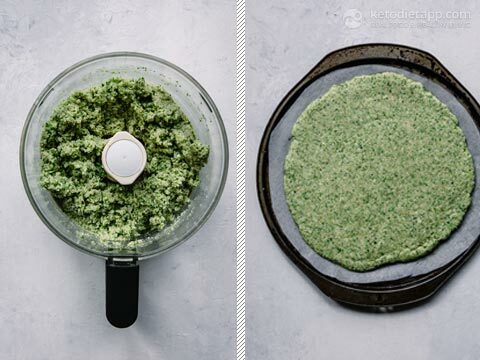 Place a layer of parchment paper over the dough and use a rolling pin to roll it into a flat circle, roughly 1-1 1/2 cm (1/2 inch) thick. Bake 12-15 minutes, until it’s firm to touch and just starting to brown. 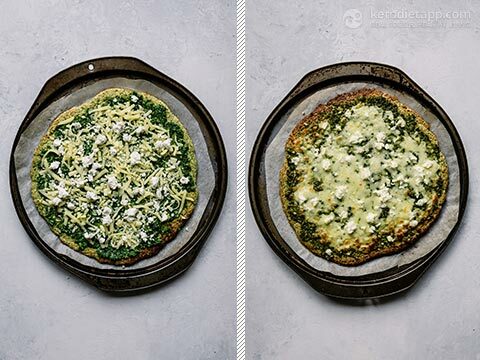 Remove from the oven, and spread the pesto over the base, then top with the cheeses. Bake 8–10 minutes, until the cheese has melted and the edges have browned. Serve topped with extra basil and drizzled with olive oil. Store in an airtight container in the fridge up to five days, and reheat in the oven. We loved this. I added a few mushrooms that I needed to get rid of. Even my skeptical huaband approved. 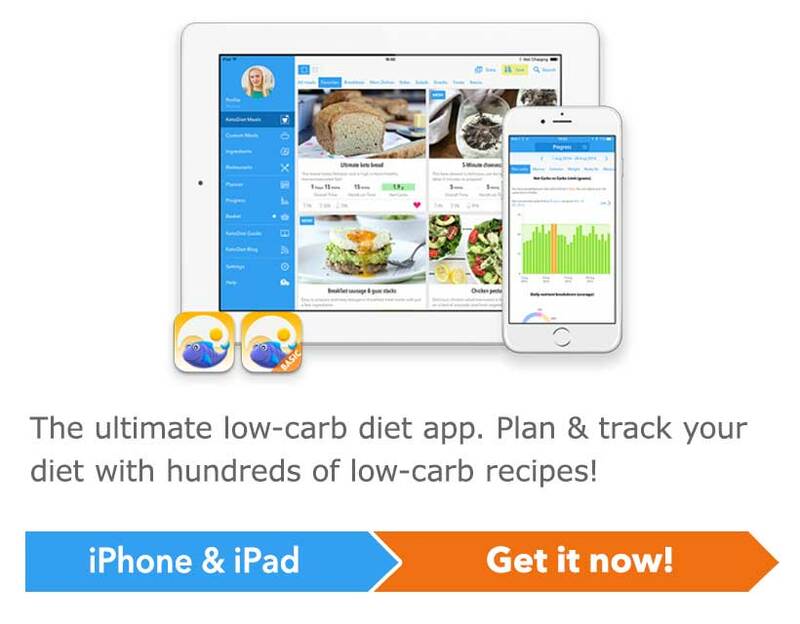 Is the carb count NET carbs?? I'm not sure I understand your question? We list both "total carbs" and "net carbs" in the table. Very nice to see it in those how-to steps. Thank you! Made this last night. Made a 14” crust. Used pesto, chicken, mozzarella. Delicious! Only issue was had to prebake crust 30 minutes and could have baked longer to get it more dried out. Will make again! Thank you for your feedback, Jeanne! This looks so amazing, I need to try it! !